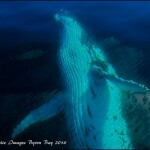 Whale sightings guaranteed or get your money back! 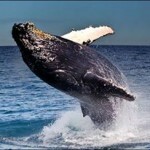 Welcome to Blue Bay Whale Watching, Byron Bay’s premium whale watching trips. 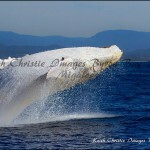 Our custom-built Eco-Vessel is the ONLY dry and comfortable whale watching boat in the Cape Byron Marine Park. 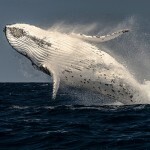 We are so confident in the quality of our trips and the experience of our crew and whale spotter that we are happy to give you a full money back guarantee if you don’t see a whale. 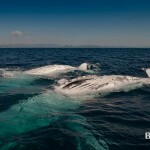 Come and enjoy an intimate encounter with majestic Humpback Whales from the comfort of our 8.5m catamaran “Bay Warrior” without getting wet. 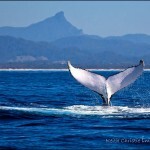 Our whale watching tours depart daily from our private jetty in the Brunswick Heads Boat Harbour, the perfect gateway to the Cape Byron Marine Park. “Bay Warrior” was purposely built for comfort and stability. It has a large cabin with big glass windows for equally great viewing from inside. Our spacious and stable back deck is completely sheltered from the sun and the rain. 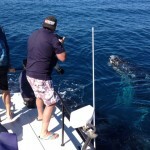 During the trip, you can move up onto our elevated front deck and enjoy 360 degree views of whales and scenery. 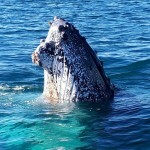 “Bay Warrior” is the ONLY whale watching vessel in the Cape Byron Marine Park with a cabin, shelter from the weather and a toilet. Small group sizes of no more than 12 passengers per trip allow our friendly professional crew to give you the personalized service you’d expect from the charter operator of your choice. 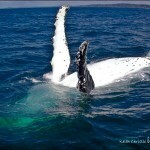 Call us on 1800 858 155 and book your whale watching adventure now! Which boat is best for me?